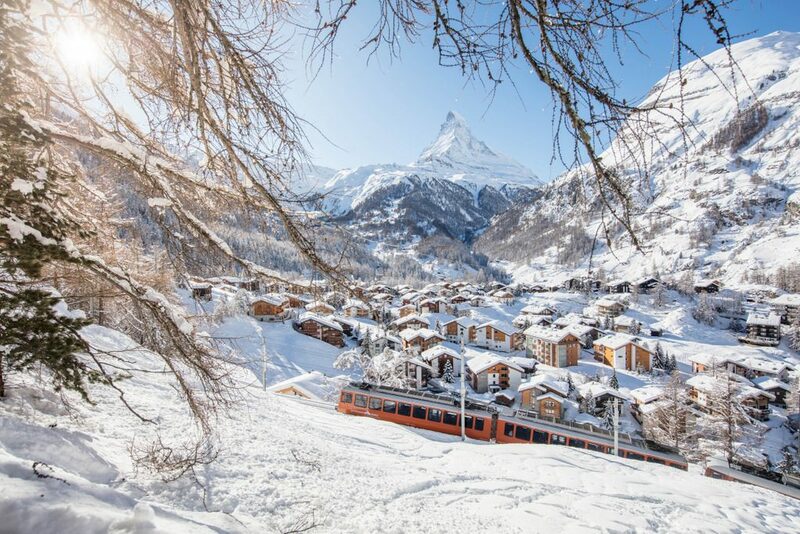 The Glacier Express Excellence class: this new premium rail service guarantees each of its twenty guests a window seat, in addition to access to the lounge and bar area and stunning views throughout the ascent. 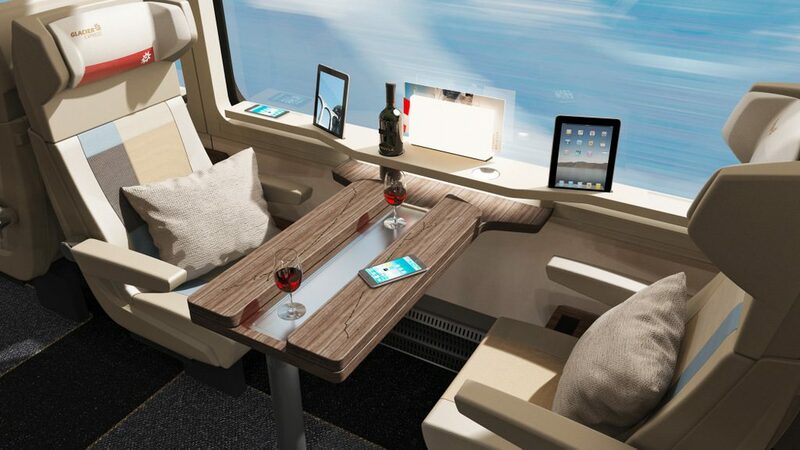 Passengers are also treated to champagne and a five-course menu with wine during the 8-hour journey. Sushi in Switzerland: Shogun Japan Restaurant opens in December and is set to serve up sushi, sashimi and other Japanese specialities. If you fancy a night off traditional Swiss food, this fun and authentic new restaurant presents a great alternative. Time Out Sportsbar and Grill: a favourite of sports fans, this lively bar broadcasts all major sporting events and includes a games room complete with darts, billiards, electronic poker and a quiz machine. Tex-Mex dishes and a football table are new additions this year and confirm this bar’s reputation as the place to head to on a rainy day. 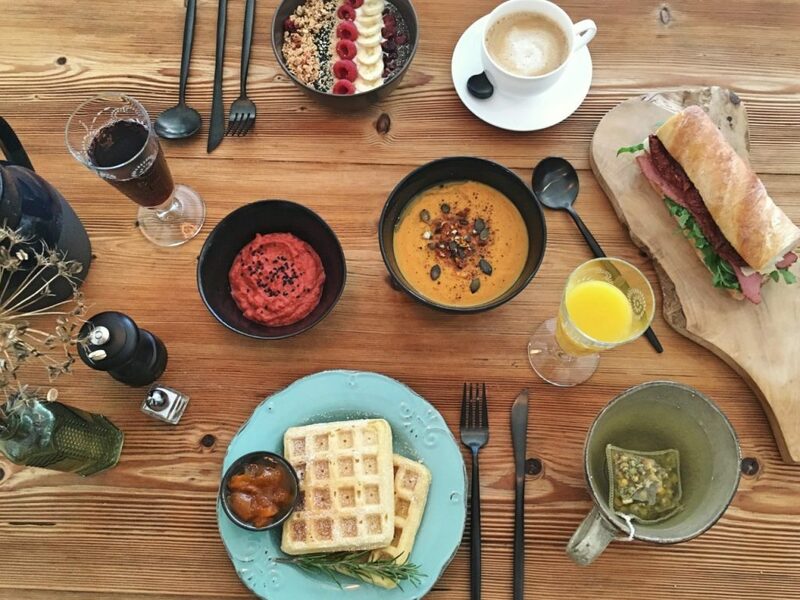 Vegan and vegetarian dining: two new restaurants will open their doors this winter and both promise to serve vegetarian and vegan dishes – a rarity for the Swiss Alpes! Brasserie Uno includes vegetarian and vegan dishes in its daily lunch menu (which changes every day), à la carte dinner menu and even afternoon tea selection. Le Gourmand is an environmentally-conscious, vegan and vegetarian-friendly breakfast and lunch snack bar. In addition to serving healthy fast food, it will also use and sell bamboo straws, reusable cups and paper bags. WOW Winter Opening Weeks: taking place from the 24th of November – 7th of December, the full Winter Opening Weeks programme includes a range of skiing and après-ski events such as the Christmas Tree Opening Ceremony, the Guided Village Tour and the Fat Bike Night Rides plus the chance to enter an incredible competition. 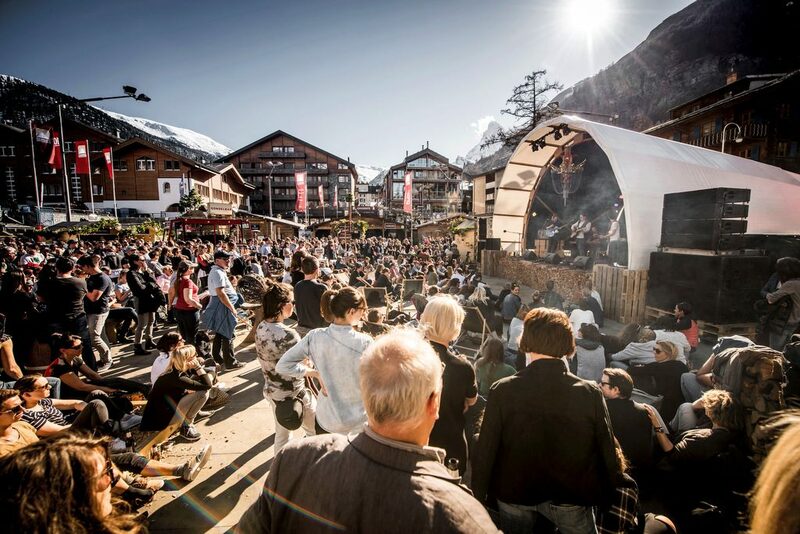 Zermatt Unplugged: taking place from the 9th of April – 13th of April, Zermatt Unplugged is a music festival that takes place both in the village and on the slopes of Zermatt. This year’s line-up includes Passenger, Francis Cabrel and Jessie J! Tickets are on sale from the 7th of November 2018. 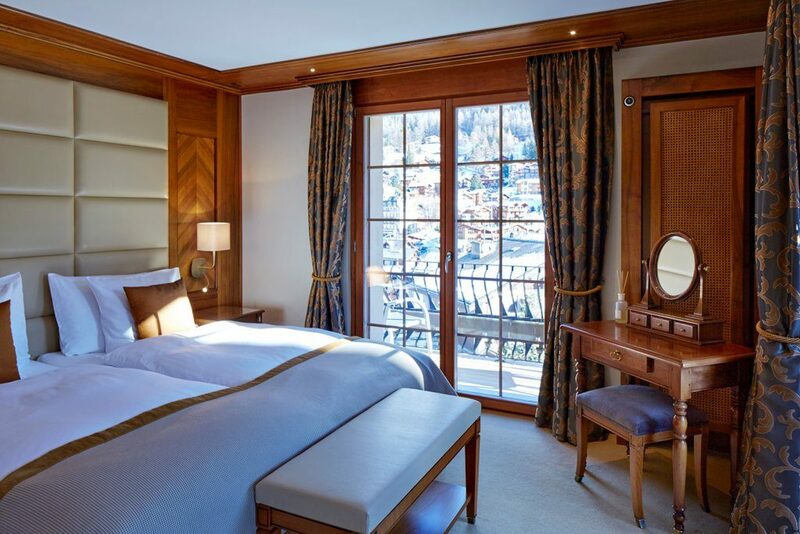 Refurbishment at the Hotel Mirabeau: the Hotel Mirabeau offers deluxe rooms with spectacular views of either the Matterhorn or the Mischabel. 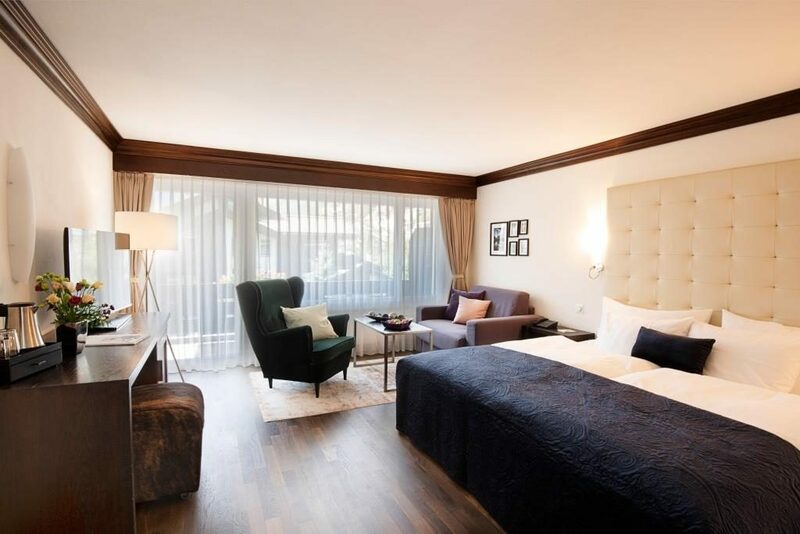 This season has seen the stylish refurbishment of all rooms, which also now feature soundproof windows. The lobby of the luxury, 5-star Grand Hotel Zermatterhof has been renovated for this winter while Suite guests will now benefit from a variety of indulgent additional services, including a welcome gift from the Zermatterhof Spa, and invitation to the hotel’s classic afternoon tea, a patisserie treat from the chef each day and free alcoholic drinks from the minibar. 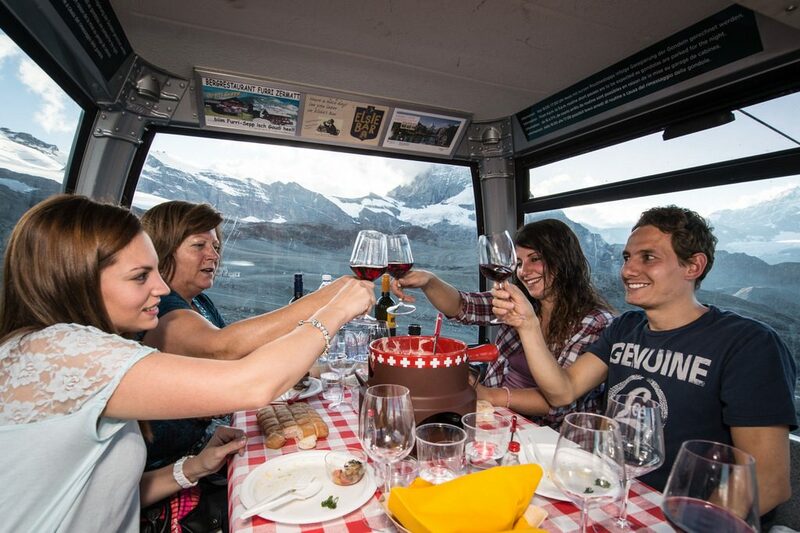 The Swiss Food Festival has been renamed Taste of Zermatt and will feature a Gondola Fondue night whereby guests can enjoy a scenic, sunset ride in a cable car while being served delicious cheese fondue and Valais wine followed by various desserts. Weather permitting, the soiree is being planned for the 5th April 2019. Those wishing to participate must reserve a place by the 4th of April. The new Täsch bike trail is just one of many bike trails to follow in the Zermatt area. Starting from the village of Täsch, it then winds along the banks of the Matter Vispa around the lake Schalisee (the perfect place to cool off!) The route back leads you through the traditional Valais barns of the village of Täsch. 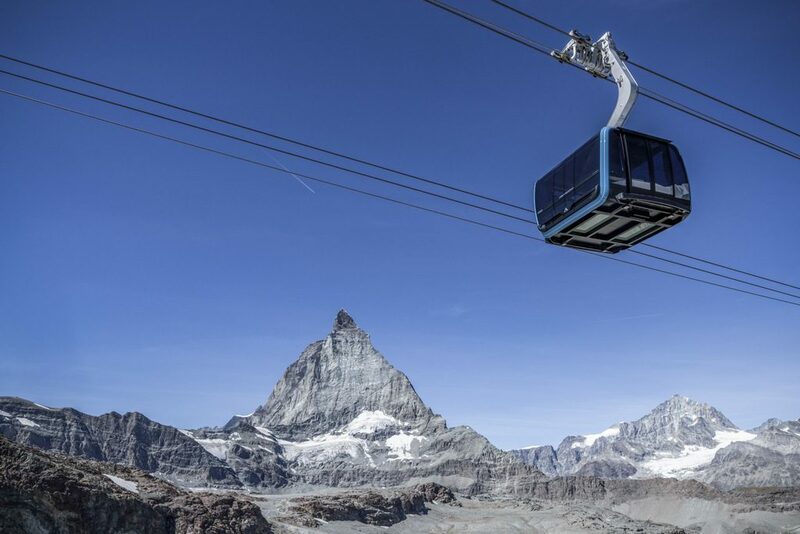 Zermatt Open Air Theatre: Europe’s highest open air theatre comes to Zermatt throughout July and August and features “Matterhorn: no ladies please!” – A play about the first woman to climb the Matterhorn!